this month for attempting a humanitarian mission to Gaza. 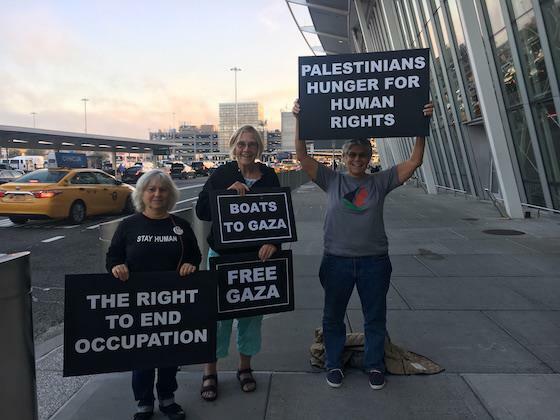 Just back from detention in Israel, arrested in international waters on the "Women's Boat to Gaza" (read her report here), activist Ann Wright went directly to North Dakota to join those facing militarized police attacks that have included dogs and pepper spray. It can sometimes seem like Ann Wright is everywhere in the struggle for justice. 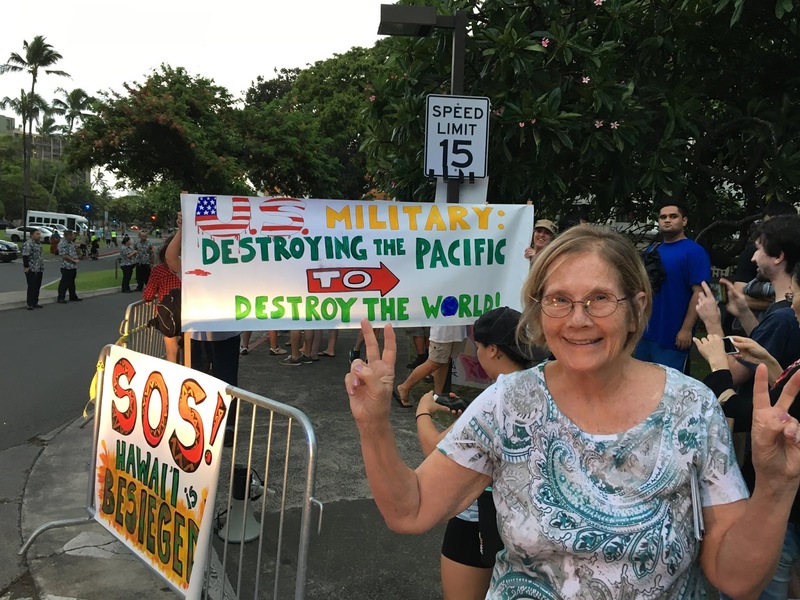 Since retiring from the State Department in protest of the Iraq war in 2003, this Veteran for Peace has devoted her life to what she describes as "the warmth of solidarity." 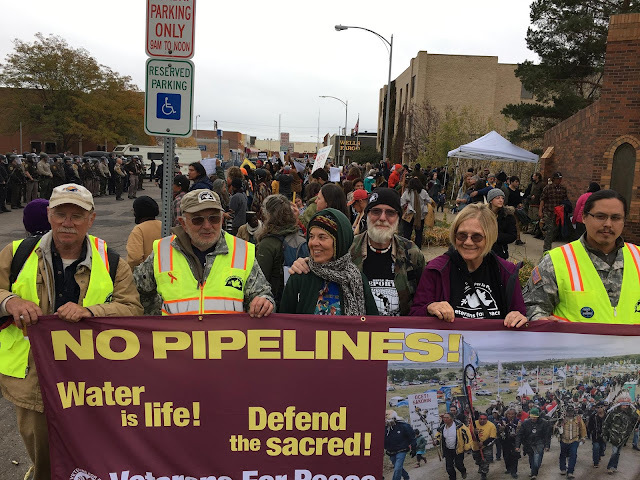 In North Dakota Ann joined in the resistance to corporate takeover of the water supply under tribal lands of the Standing Rock Sioux. She went to stand shoulder to shoulder with water protectors like Dr. Sara Jumping Eagle who has been arrested, strip searched and slapped with a restraining order for engaging in peaceful resistance to running an oil pipeline through the watershed that supplies millions in the U.S.
From Camp Casey in Texas to Hawaii (where she hails from) to Jeju Island, South Korea, Ann can be found in the struggle for justice in the face of corporate government. The title of her talk, "Never Silent Until Our Sisters Are Free," comes from a song that the international band of women on the boat to Gaza sang about the suffering of Palestinian women and their families under Israeli occupation. You won't want to miss hearing from Ann. We can't rely on the corporate media to tell us what is happening in the world, but we can rely on Ann Wright and activists like her to bring us real news. to promote militarization to Pacific Island leaders in September.